Guy Sternberg will spoke on how trees will be affected by global warming and the associated increase in frequency of extreme droughts, flooding, and temperatures that are expected to occur in coming decades. Most scientists agree that our climate is becoming increasingly unstable. How will this affect our most treasured and permanent landscape plants – our trees? Why should we be concerned, and what should we do? Learn about things such as proxy data; clinal variation; natural climate cycling; the importance of species, provenance, and diversity; and some expected trends for our landscapes of the coming century. Come away better prepared for the uncertain future of your environment. Guy Sternberg served on the staff of the Illinois Department of Natural Resources for 32 years, receiving the Honor Award for outstanding service. He is a charter life member and past chapter president of the Illinois Native Plant Society and is the author of “Native Trees for North American Landscapes”. 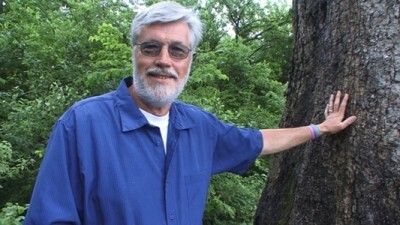 Guy holds life memberships in the International Society of Arboriculture (from which he received a Special Recognition Award for his work with historic trees), the International Dendrology Society, and American Forests. Guy has cultivated and studied trees since 1952 and has assembled one of the NAPCC oak genus (Quercus) living reference collections for North America at Starhill Forest, his research arboretum, where he and his wife Edie also grow more than 1800 accessioned taxa of woody plants.